18 oz Food Flask is rated 3.3 out of 5 by 29. Rated 2 out of 5 by SusanD from Love My other Hydro Flask products, not this one I own several Hydro Flask bottles and the pint glasses and LOVE all of them, so when I wanted to take soup to work with me, I was sure Hydro Flask would have the best product, plus I love the colors and style. My soup is barely warm when lunch comes around. I'm very disappointed with the lack of heat holding. I have tried pouring boiling water in ahead of time and tried getting my soup super hot before putting it in the container, but it is still lukewarm 3 hours later. 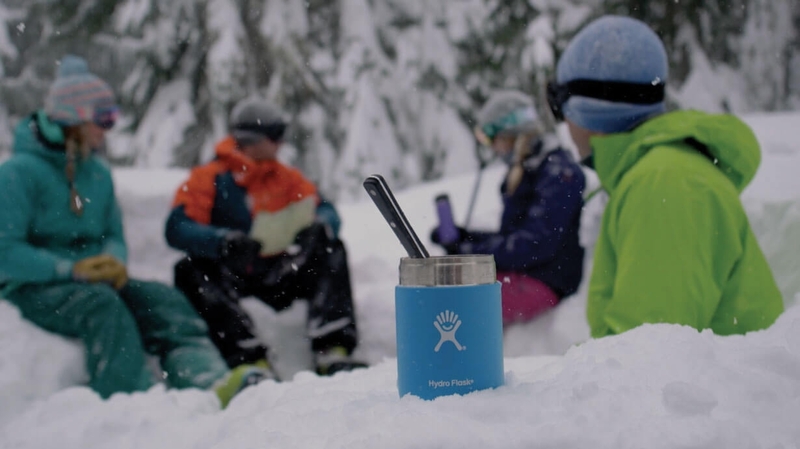 Rated 1 out of 5 by Mamie from Doesn't keep food warm I absolutely love my 32 Hydroflask wide mouth bottle. It keeps my tea hot 12+ hours. I thought the food flask would be the same. Nope. I fill it with piping hot soup around 7 am and it's just barely lukewarm at noon. I am disappointed. I expected perfection. Back to my old (smaller but functional) thermos.